Thanks to everyone who left comments here on the blog and on Facebook and Instagram. Congratulations to Barbara M, the winner. For those who did not win, it is easy to put together one of these kits on your own. Find a small cosmetic bag, plastic box, or even a gift bag and fill it with daily life items that are handy to have, but you don’t always remember to keep stocked. 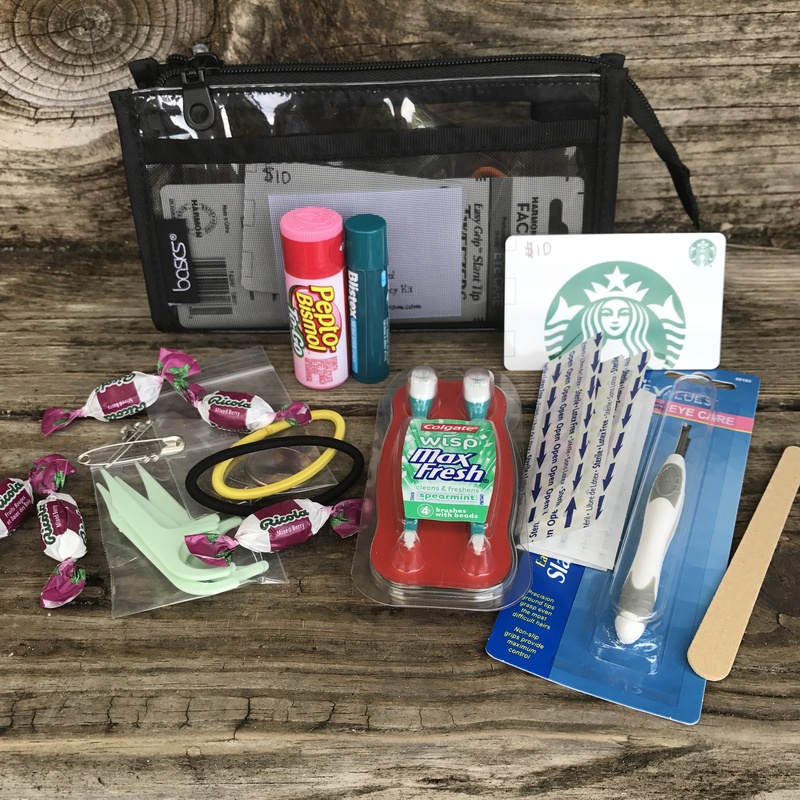 Based on all of the fun responses, some items that are must-haves are a Coke, Diet Coke, Mountain Dew or other soda, coffee, chocolate, chapstick, granola bars, movement breaks, and flexibility!